Home / Film / Sing Street: You’re in a band? Sing Street: You’re in a band? Ah, the coming of age drama. Such a staple and yet so often botched. Do it well and you can tell a tale of universal appeal. Do it poorly and your film will surely be a hive of insipid sentimentalism and can expect a savage mauling from critics. Everyone has their own favourite film that sums up their emergence into a definitive identity in those fretful teenage years. 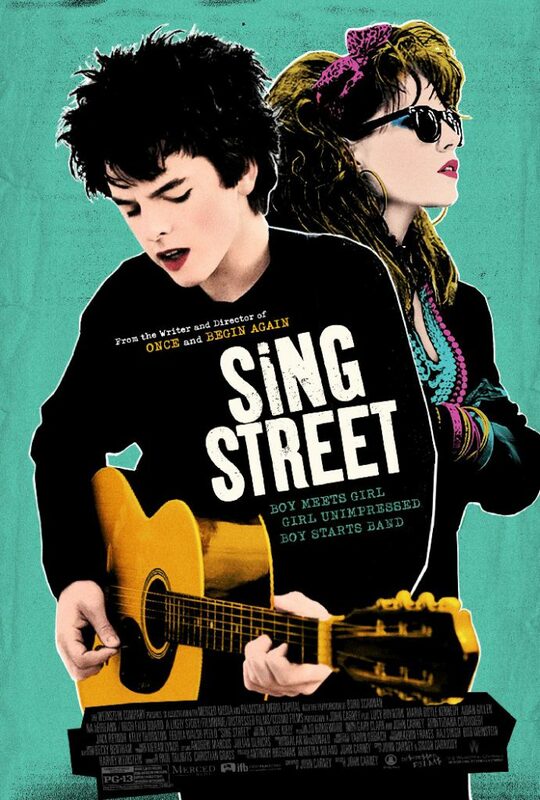 Sing Street, the latest challenger in this arena, fairs pretty damn well in the end. We’re in Dublin in the 80s and Cosmo has been hurled into a new school full of bullies, the overbearing priests teaching him are little better, and his parents are at each other’s throats. There’s a mysterious girl who hangs around the school gates and he is desperate to impress her, so what does he do? He forms a band, of course. The film really does give itself an edge with its sheer charm and panache. We’ll all have seen films about boys and girls circling each other romantically, films about teenage angst and troubled home lives, films about music endeavours. 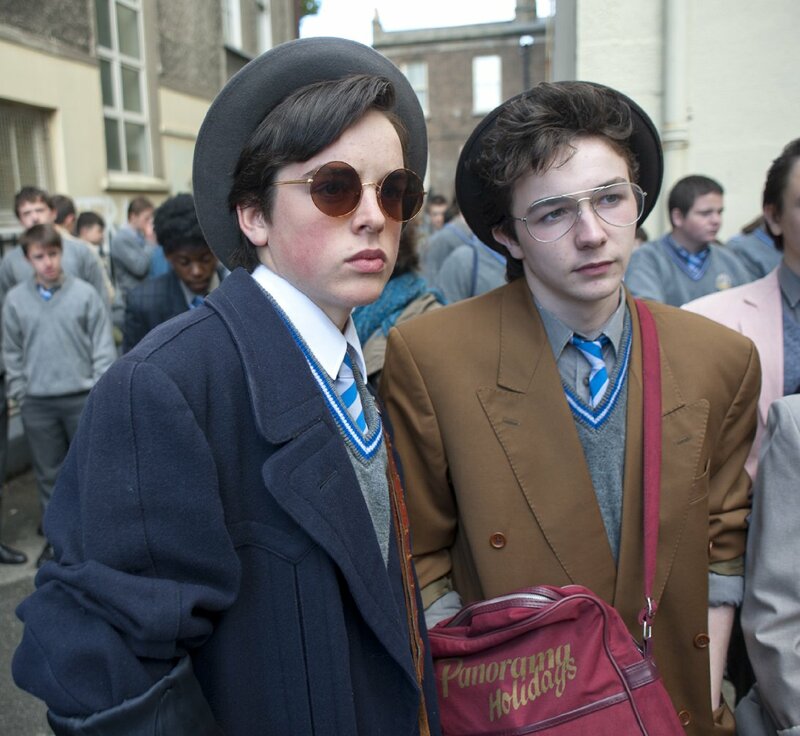 Sing Street does its utmost to excel on all these fronts to forge its own identity. We aren’t subjected to a tortuous jukebox musical (the band make clear from the outset that they are NOT doing covers) and the inclusion of honestly very good original music in the style of the period is a real perk. There’s attention to detail, affection and humour about the era that gives a sense of authenticity. The fashion, the technology, the dour economic prospects all tally to reinforce the setting of 80s Dublin. There is more than a little loving mockery of just how silly the New Romantics looked as Cosmo and his band take up their affectations. The film can’t avoid comparisons to a certain other film about a teenage boy seeking artistic fulfilment amidst economic deprivation in the 80s (it’s Billy Elliot, for the record) and the film makers might have wanted to avoid using certain songs which the first one laid claim to (in my opinion) in its supporting soundtrack. 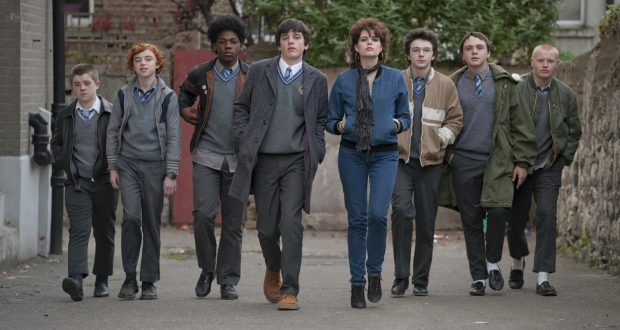 But even against such daunting comparisons, Sing Street doesn’t diminish in stature. 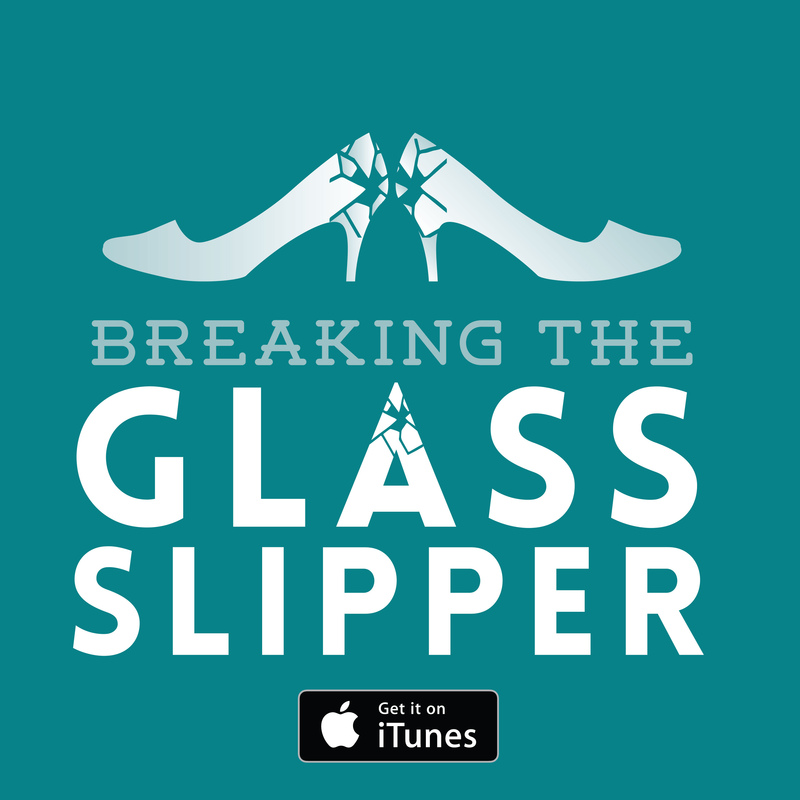 It has different focus points with its touching romance arc, the warm and supportive relationship between Cosmo and his brother, and some wonderfully deadpan humour. I’d hardly be extolling the virtues of the film that relies on a depiction of teenagers (third only behind Cockneys and small children in the list of reliably irritating screen characters) if the performances weren’t up to snuff. Ferdia Walsh-Peelo as Cosmo has a great on-screen transformation from nervous dweeb to charismatic stage performer (plus it should be noted that he and many of his co-stars are actually playing instruments and singing – the kids in this have chops) and his cohorts in school act like children rather than the idyllic airbrushed creatures we often get on screen. The other two cornerstones of the film are Lucy Boynton as Raphina, the object of Cosmo’s affection, and Jack Reynor as his brother Brendan. Boynton manages to portray the character as something more than the overarching and passive objective of the drama. Reynor (showing great breadth from the last time I saw him last year’s brutal Macbeth) is one of the real assets of Sing Street, playing the closest thing to the Mr Miyagi or Mrs Wilkinson (Julie Walters character in Billy Elliot) in the film’s narrative. One can be dismissive of feel good films, but when ones like Sing Street stick with for a few days it means they’ve got some substance and style to them beyond their ability to deliver simple euphoric impulses. Now I just wish I could get some the songs out of my head. Verdict: Sing Street is a funny and charming spin on the travails of teenage love. Previous: Arguments for a shared experience: Does what the artist intended matter?